In 2007, FIFA instituted a headscarf ban based on these two major assumptions: (1) headscarves pose “physical safety concerns” and (2) constitute a religious statement. 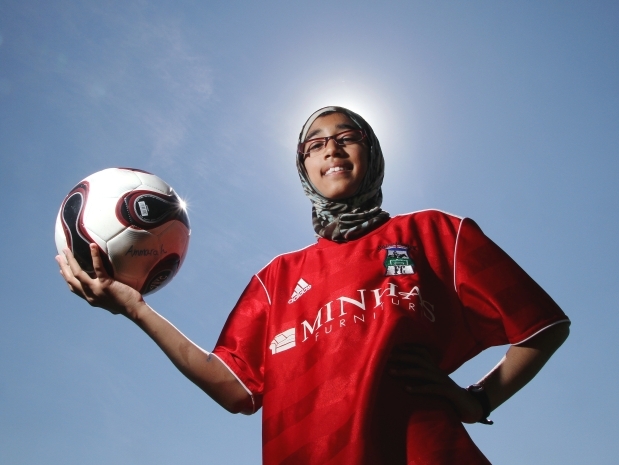 In doing so, FIFA was being discriminatory towards Muslim woman soccer players’ rights. Women may or may not want to wear hijabs and that is their right because it extends further than fashion and dress. The hijab can symbolize personal and religious beliefs that are being followed by the individual woman which should be respected. How would you feel if someone refused you an aspect of your belief? Recently, however, FIFA overturned their decision on the headscarf ban. Read more here. While others at first glance may view this as a step backwards for Iranian women… I see it as a step forward. I cannot assume the decision was anti-feminist, rather I see it as a way to further give choice to women. Thus, it is pro-feminism. Would you agree or disagree and why?